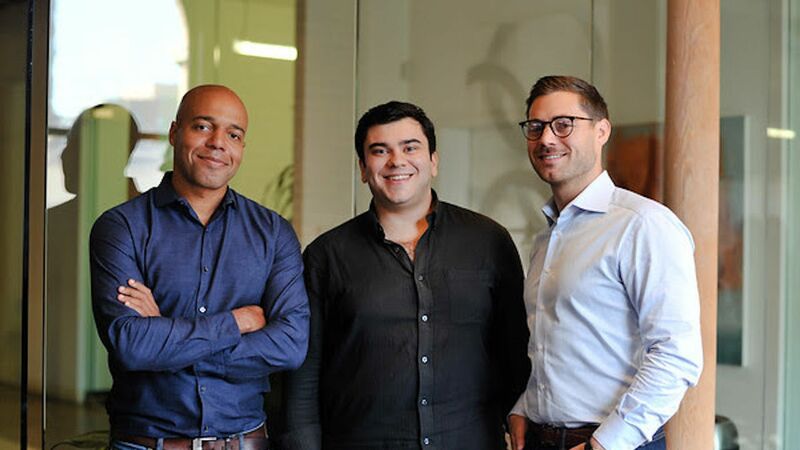 Base 10 raises $137 million to fund "automation for the real world"
Base 10 Partners' team: Ade Ajao (left), Rexhi Dollaku, TJ Nahigian. Photo: Base 10 Partners. Base 10 Partners, a new venture capital firm focused on what it calls “automation for the real world,” has raised $137 million for its inaugural fund. The bottom line: Base 10 co-founder Ade Ajao tells Axios that his firm is focused on companies applying basic automation tech to analog industries like construction, waste management, and logistics.